Line a plate with a paper towel and put the hot dogs on top. Microwave the hot dogs on high power until hot, 2 minutes. In a medium microwave-safe bowl, combine the milk with the butter and microwave on high power until the milk is warm and the butter is melted, 30 seconds. Add the cheese and beer and microwave on high power until the cheese is just melted, 30 seconds. Stir until smooth. 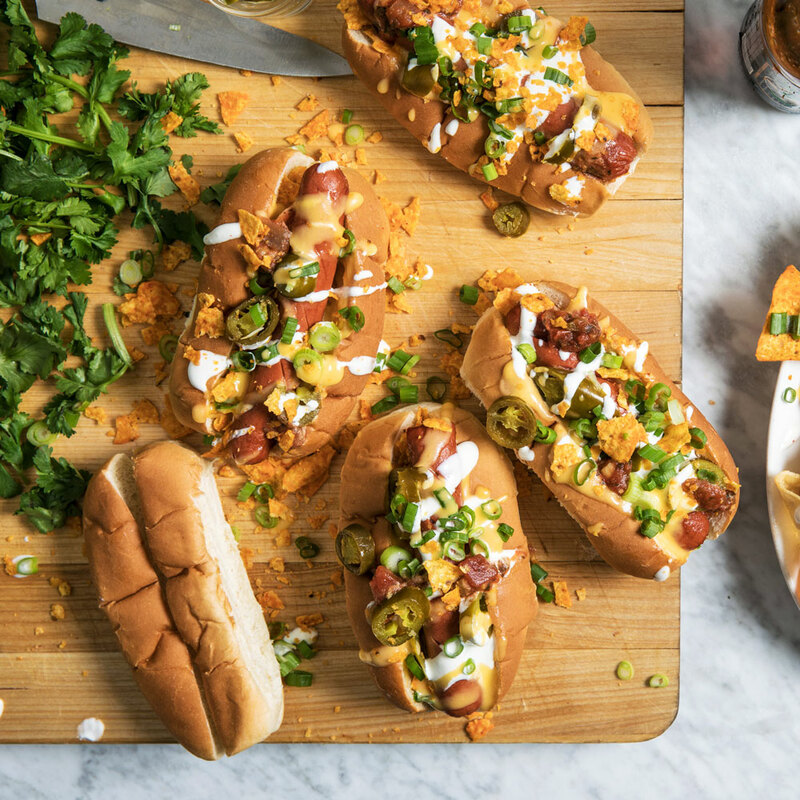 Top each bun with half of the crushed chips and a hot dog. Drizzle with the cheese sauce and sprinkle with the remaining crushed chips. Garnish with sour cream, salsa, cilantro, scallions and jalapeños. Serve immediately. Review Body: I've never hear this one before, nacos + hotdog. Will definitely try it!